1-Click your copy of Life's Forever Changed. After Alejandro Alvarez’s best friend dies of kidney disease while in high school, Alejandro vows to change his life. Determined to help others suffering from his friend’s illness, he rejects joining his father’s pediatrics practice and instead trains as a nephrologist and a transplant surgeon. Fourteen years later, devotion to his career has rewarded him with a reputation as an excellent surgeon, but success has left him alone, with no family that he can call his own. Pediatric Intensive Care Nurse Tammy Johansen is on duty when an infant must undergo a life-saving transplant. Working closely with famed surgeon Dr. Alejandro Alvarez, she sees the sensitive, lonely man beneath his professional exterior and wonders can such a man be interested in someone like her? As they battle to save the tiny patient, Alejandro struggles with the emptiness within himself until the lovely and compassionate nurse at his side catches his attention. In that moment, one look at Tammy forever changes his life. 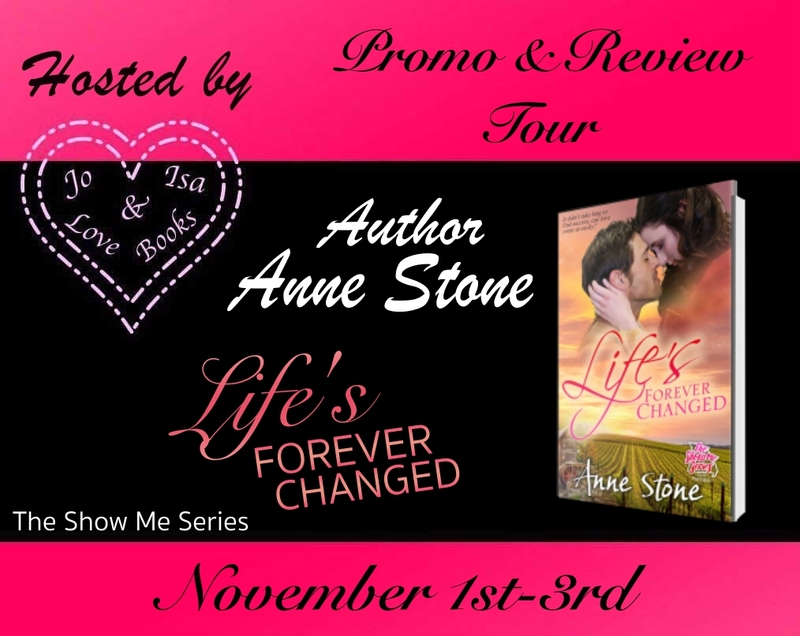 Life’s Forever Changed is the Prequel to Anne Stone’s The Show Me series. Add a new shelf to your Goodreads titled The Show Me Series and add Life's Forever Changed. Anne Stone has been a fan of romance since reading Katherine by Anya Seton her senior year of high school. In college, she penned her first novel which ended up at the bottom of a desk drawer after being rejected by a publishing house. She’s constantly dabbled in drafting stories but her career always seemed to get in the way. Anne decided to take the plunge and self-publish. Self-publishing allows her to write the kind of book that she enjoys reading and doesn’t put a limit on her creativity. Originally from St. Louis, Anne currently resides in Wisconsin with her Cavalier King Charles Spaniel.